The potential for flooding and severe weather continues to be high this weekend. AccuWeather has more here. 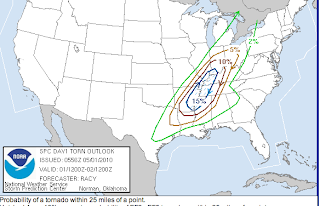 For today, the higher probabilities for tornadoes are enclosed by the 5% line. 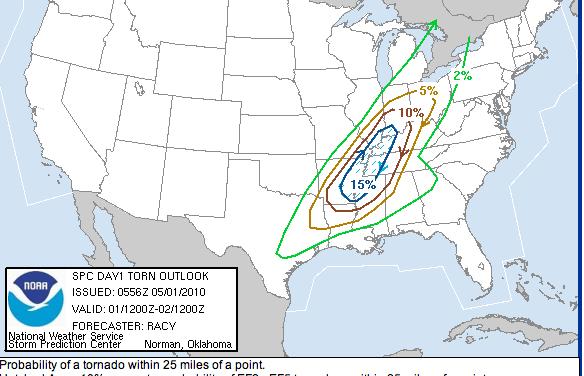 The blue stippling indicates areas where "strong" (F2 or higher) tornadoes may occur. 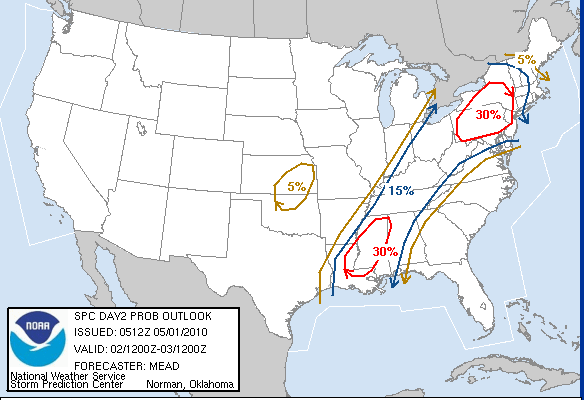 For tomorrow, here is the outlook. 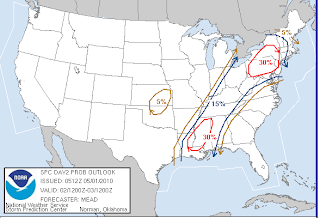 Note the high probabilities of severe thunderstorms in the Northeast. This includes Newark, Pittsburgh, and Philadelphia. There is also a high risk of flooding with the extremely heavy rains predicted for the area the next four days. There are two bulleyes of more than eight inches on the map!